Back in late June,early purchasers of Apple's Retina MacBook Pro reported on the image persistence caused by some production issues. Having used a device for a certain period of time, they noticed its screen became vaguely and left traces of previous images. Apple replaced the defective devices. DisplayMate’s Ray Soneira has mentioned the persistence was caused by early production issue, but three months later, users still complain of the released product’s “ghosting” issue. A lot of messages were posted on MacRumors' forums and at Apple Support Communities which are largely reported on the issues related to the LG displays and experienced by the manufacturer. Samsung Displays were not affected by the issue. Digitimes has reported that Apple will be utilizing IGZO (indium gallium zinc oxide) flat panels instead of IPS (in-plane switching panels) in its "next-generation mobile display products" such as the iPad 3. Starting with the new iPads, Apple will utilize IGZO panels from Sharp in order to upgrade the display resolution of the new tablets to full HD level, the sources indicated. Also, we believe that Apple and Sharp together have a modified IGZO (indium, gallium, zinc) technology to achieve 330 dpi, which is sufficient for an HD display while not using IPS nor having to include dual-bar LED backlighting. In our view, this should lead to several design advantages, namely the device can be thinner, battery life should be longer, and the overall experience for users should be meaningfully improved. The benefits of IGZO are plenty: lower cost of manufacturing, up to 30x higher electron mobility than a-Si (amorphous silicon), increased aperture ratio for improved light transmittance, higher resolution in terms of ppi, etc. IGZO would allow for significant cost reductions compared to LTPS (Low Temperature Poly-Silicon). The new technology is said to allow Apple not to use a second light bar system that is presently used in the iPad and to avoid making the iPad 3 thicker than the current iPad. Rumors about Apple’s plans to implement high-resolution 2048x1536 Retina display to the next-generation iPad have been circulating for some time now. According to different sources, the new iPad 3 is required two light bars in order to manage the much higher resolution, so that it will be 0.7 mm thicker than the iPad 2. Some analysts predict that Apple will continue using in-plane switching (IPS) technology for the new display. But Jeffries analyst Peter Misek together with Forbes suppose that Apple is not going to use IPS on the iPad 3, and seeks new ways and technology to produce the iPad 3 with a thinner and lower-power design. 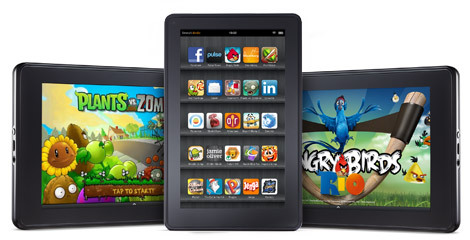 Today Amazon announced their tablet called Kindle Fire. It has 7" IPS display, custom android OS, weights 413g, has 8Gb of storage, Wifi. Unfortunately it does not have 3G. The price is attractive though - $199. Shipments start November 15. We are not sure that this device can be a real iPad killer. However it will definitely compete with other Android tablets, like Blackberry Playbook, HP Touchpad and others. Apple’s iPhone 4 and iPad have been awarded the Display of the Year prizes by the The Society for Information Display. Apple devices were mainly awarded for the usage of In-Plane Switching (IPS) technology, which provides greater viewing angles and brightness quality than other displays found on phones and tablets. The iPhone 4′s Retina Display, packing four times the pixels in the same old iPhone screen, was also mentioned for setting a new benchmark in mobile display solutions, as well as new standards in power consumption and image quality. This week the letemsvetemapplem.eu posted a couple of videos, which compare the iPhone 4 and fourth-generation iPod touch, as well as the iPhone 3GS and iPad. The iPhone 4, latest iPod touch and iPad all sport Apple's custom A4 processor, though the iPhone 4 has twice the RAM as the 256MB found in the iPod touch and iPad. According to Digitimes senior analyst, Ming-Chi Kuo, the iPhone 4G (iPhone HD) manufacturer Foxconn will ship at least 24 million units of the device this year. The shipments will start in June. 4.5 million units are scheduled for the first half and 19.5 million units for the rest of 2010. Apple is expected to present the new iPhone on June 7, 2010 during Apple's Worldwide Developers Conference. The new device will adopt IPS (in-plane switching) panels with FFS (fringe-field switching) technology and a 960x640 resolution, Kuo said, noting that LG Display and Prime View International are the panel suppliers. By incorporating FFS technology, which enables a wider viewing angle and clearer visual quality under in sunlight, Apple is aiming to improve the handset's e-book reader features and promote its iBooks Store. As for internals the iPhone 4G will run on the Arm Cortex A8 processor and will have 512MB memory module from Samsung Electronics, doubling the memory capacity to enable better multi-tasking. 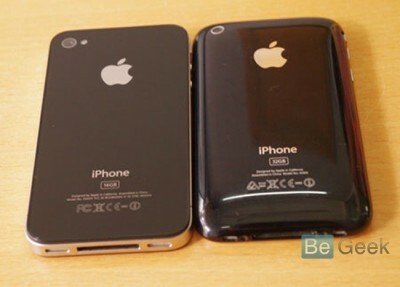 iPhone 4G will have a bigger battery supplied by Simplo Technology and Dynapack International Technology. This will be achieved by reducing the panel width by 33%.